Sieghardt Rupp (June 14, 1931 in Bregenz, Vorarlberg, Austria) is an Austrian actor who has performed in film and television and later theatre. He has made over 55 film and TV appearances since 1959 but his career was at its peak in the 1960s. He became known for his performances in gangster or western films in the 1960s where he typically portrayed a bandit or mercenary. 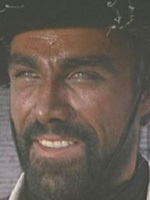 His dark features, similar to those of his Italian co-stars meant that he could play Latin characters, such as Mexicans. 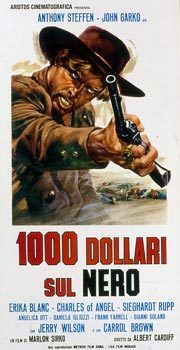 One Thousand Dollars on the Black or Blood at Sundown or Mille dollari sul nero is a 1966 Italian Spaghetti Western directed by Alberto Cardone.